Turning Torso is a twisted building – a landmark not far away from the City of Malmo, in the south part of Sweden. It has changed the profile of the city and it has also become a popular place to visit both for local citizens and for tourists. It’s an impressive building that makes people react in different ways. It’s easy to be impressed and stunned when you look at this unusual and turned/twisted building. Standing beside or looking up is a special feeling. It always feels as if the building is moving. You have reached a webpage that describes the buiding and gives you a chance to take a look inside. However we only provide information – we don’t do any booking for the house. Welcome – please have a look around! NEW! Take a LOOK INSIDE Turning Torso. Look at photos from inside the building and see the view. 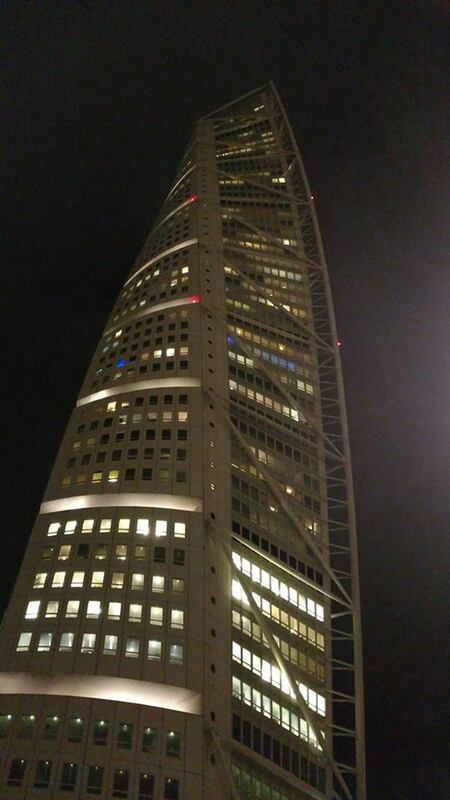 Or read FACTS about TurningTorso.